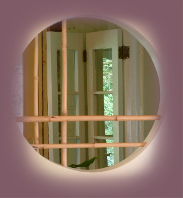 Lew Teich Custom Woodworking strives to pay attention to every detail of every project. From unique custom homes, additions, & remodeling projects; to lengthy renovations of several of Southern Vermont’s finest inns; to creating site built custom kitchens & whimsical cabinetry & stairs; to timber framed horse barns & out buildings; to one of a kind porches & decks; every detail matters. Since the early 90’s, our consistent crew has enjoyed a huge variety of unique projects and have left our signature touches where appropriate. We take a very hands on approach and are supported by a loyal & talented cadre of subcontractors. Our turf runs from the greater Brattleboro area up both the Connecticut & West River valleys. But, we have been known to travel afar for unique cabinetry projects and can always be tempted by that special project in paradise in February.